Celebrating our 1st 10 years; investing in the next 10! Throughout the month of March, you’re invited to contribute to the vision we are creating for our next 10 years. It has been an honor to experiment with innovative programs, partner with amazing organizations, learn together with wonderful peacebuilders, be inspired by participants in our programs, and collaborate with all of you to build a world that knows peacebuilding and social justice. The United States has changed a lot in the past 10 years, and we are excited to continuously re-envision the National Peace Academy's purpose in the midst of those changes. Be watching for us to announce a Fall Summit - designed to celebrate our past 10 years and strategize for the next 10. We hope you'll be a part of this vision. Please fill out our secure online donation form or mail a check to National Peace Academy, P O Box 21155, South Euclid, OH 44121. Together we will establish an enduring peace! Click here to hear from others about why they support NPA! 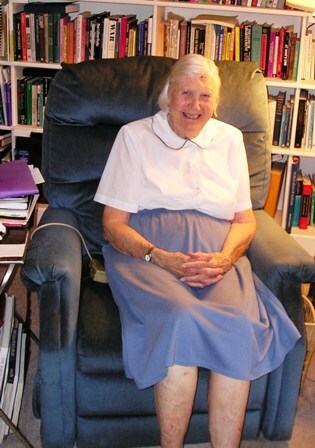 With the National Peace Academy Elise Boulding Scholarship Fund, we celebrate with joy and appreciation Elise Boulding’s life of service on behalf of the common good. 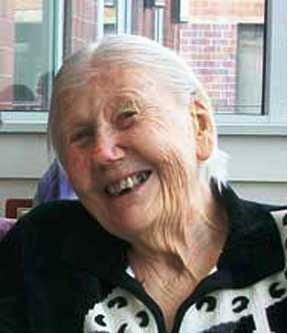 We celebrate her lifelong demonstration of the spirit of peace and imagine with Elise a culture of peace. The Elise Boulding Scholarship Fund ensures that seeds of peace will continue to be sown as we educate the coming generations of peacebuilders in all walks of life in the knowledge, skills, and capacities to create a culture of peace at every level of our society. Your gift will support scholarships and fee waivers for NPA programs. Click the “donate now” link above to help build this scholarship fund. Where the form asks Please direct my donation to”, choose the Scholarship Fund option. In her final years, Elise would graciously and happily share with visitors her wisdom, wit, and wonderful imagination and sense of possibility. She would tell stories that came alive as she spoke of her years seeding peace around the world and inspiring a culture of peace. Elise’s legacy reminds us that peace work encompasses our children’s playgrounds, our family homes, our shared workplaces, our communities, and the world. Planned Giving is one way you can leave a legacy of peace for future generations. A planned gift is a gift that in most cases will benefit the National Peace Academy at some future point in time. Unlike an outright gift that provides NPA full benefit upon receipt (such as a gift to the Annual Pledge Drive), a planned gift defers the NPA’s use of transferred assets until the death of a donor or until the end of a specified period of time. Planned Giving offers friends of the National Peace Academy the opportunity to make a final testament about the importance of their belief in Peace and can help ensure resources will be available in the future to do NPA’s important work. When someone makes a planned gift to an organization like the National Peace Academy as a beneficiary, he/she elevates NPA to the level of family. It’s a big deal. In return for a planned gift, donors and their families may receive important estate and income tax benefits – in addition, of course, to the knowledge that they are leaving a legacy of Peace. Examples of Planned Gifts include bequests by will; gifts from IRAs and pension plans; life insurance policies; and gifts of property. Most Planned Gifts are not available to the NPA until death, so these gifts enable a donor to preserve the potential need for the asset during their lifetime. Yet, because they benefit NPA in the future and often provide attractive estate tax benefits, they serve as an excellent philanthropic tool. Other forms of Planned Gifts involve vehicles that provide the donor or a secondary beneficiary an income stream for life. For these and all Planned Gifts, donors should consult with their financial planners. Over 80 percent of planned gifts are through wills. However, studies show that 58 percent of American adults have not written a will, giving them little control or input into what may happen to their assets upon death. 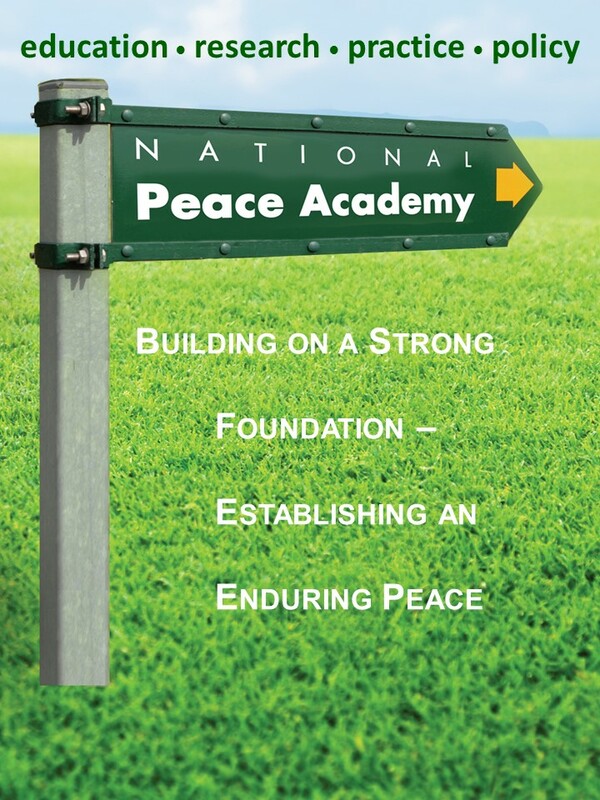 Please, consider making a will and including the National Peace Academy as a beneficiary! Make a stock, bond, or mutual fund gift to the National Peace Academy. If you may be interested in making such a gift, please contact us at or phone 650-918-6901. The National Peace Academy makes it easy to donate your car through the “Donate a Vehicle to Any Charity” program. Click here to quickly and conveniently donate your car online today. Make a special gift to the NPA “in memory of” or “in honor of” a family member or special peacebuilder in your life. If you request it, the National Peace Academy will also send a special notice and thank you to the recipient of your gift dedication. The National Peace Academy is a 501(c)(3) nonprofit with IRS tax identification number 27-2285227. Contributions are tax-deductible to the full extent allowed by law.